Invasive Species Hazard Analysis and Critical Control Points (HACCP): Aquaculture managers are encouraged to introduce a HACCP system to help identify risks, procedures to limit the opportunity of non target species transfer and the appropriate time to take action when moving aquaculture species and equipment. Remove any visible plant, fish, animal material and mud. Use damp cloths and vacuum sanders to keep paint, debris, and cleaners out of the water. Do not allow rinse water to return to the marine environment. Many organisms can remain viable even in small (sometimes microscopic) quantities. Do not move fouled vessels or equipment from one area to another. Keep good records or when equipment and boats are due to have antifouling renewed. Report any organism you suspect may be a high risk species. Read more about how you can prevent the build up of biofouling. Remove unused equipment and stock: Equipment and seed stock should not be left in the environment if it is no longer used by the grower or the grower is no longer able to maintain the installation. Biofouling control on aquaculture equipment: Biofouling can be a costly problem for the aquaculture sector. Uncontrolled biofouling on aquaculture infrastructure and stock leads to increased maintenance costs and production losses (low growth/poorer quality). During the normal course of farming operations, naturally occurring biofouling including mussels; barnacles; marine plants; and other marine invertebrate animals can collect on culture equipment and on cultured species themselves. However, invasive species can also foul aquaculture equipment and species. These species can increase costs, reduce yields and also use the installation as a stepping stone to colonise natural ecosystems. Minimise the potential for over settlement of non-target species by selecting sites and culture methods which avoid fouling in high densities. Adopt operating and maintenance practices such as regular cleaning which reduce the potential for non-target species to become a significant factor. If possible, facilitate probiotic control measures such as the polyculture of native sea urchins and other native grazers to reduce fouling impact. Where biofouling must be washed or removed, attempt to reduce its impact and potential for colonisation on natural ecosystems by disposing of the debris in rubbish bins or onland composting. Remember that if fouling paints have been used that debris must be disposed off at a licensed landfill site. 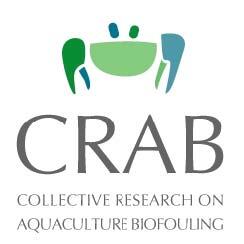 For more information on antifouling strategies used in aquaculture please see http://www.crabproject.com. The ICES code aims to reduce the ecological, environmental, economic and genetic impacts associated with the transfer of species utilised in aquaculture activities. While Government is responsible for some of the actions in this code others lie solely with the aquaculture sector for implementation. Familiarise yourself with this code and its requirements for new species introductions and species already utilised in aquaculture. Promotion of native species and biodiversity: Ireland’s biodiversity has been put under pressure in recent years due to threats such as increased construction and development, intensive farming, inappropriate habitat management and the introduction of non-native species. Promoting native species will contribute to the efforts to halt the loss of biodiversity by 2010. Further information on biodiversity in Ireland can be found on the Notice Nature (www.noticenature.ie) and the It’s in our Nature websites (www.biodiversityni.com).